01 Feb Break away for some early spring biking! We are getting close to the time of year that bike riding is something we can look forward to. For those who ski or do indoor exercise the need to bike is somewhat less intense. My solution to riding in the spring is to go south. When planning these trips I tend to focus on rails-to-trails bike rides. These paths are flat and void of traffic, which make them great options for early riding. Trails Council board member Karen Langs loves the place where she was planted back in 1970. She and her husband Russ raised two children in Petoskey, and though her adult children have moved on (one to Florida, the other to Colorado), Langs is embracing her life in Northern Michigan. 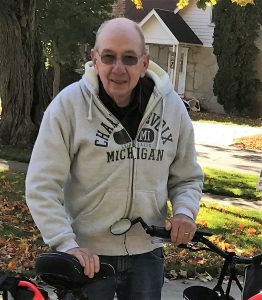 She reports that after Russ passed, she resolved to continue living the life of joy that he had shared with her during their 53-year marriage. 05 Dec Direct Your Dollars for Kids Biking! Save your D&W or Family Fare receipts! 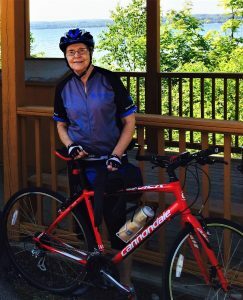 We’re raising money to fund our Kids Biking Initiative through Direct Your Dollars Top of Michigan Trails Council is committed to continue our educational bike outings for fourth graders through 2022. 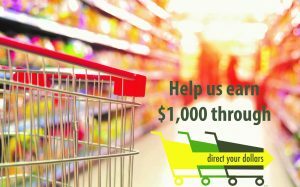 Now, through Direct Your Dollars, we have a new and exciting way to raise money to accomplish that goal! I live in Charlevoix with my wife, Anne. I have a son, Oliver, who lives in Bloomington, Indiana. I was born in Indiana and grew up there, in a small town near Fort Wayne. Anne and I visited the Charlevoix area in our boat about six years ago and really liked the town and entire area. We purchased a summer home north of downtown Charlevoix and one year later decided to sell our home in Indiana and move to Charlevoix to live here full time. 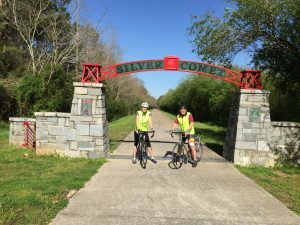 What attracted us to this area was the natural beauty, the charm of the communities, and the friendliness of the people; but one of the major reasons we chose to move here was the quality of the area bike trails.